Once you decided that what you have is good enough, you can move on to what you really needed. I ask myself, does this object bring me joy or add something to my life? The things that I could not find value in anymore ended up getting the boot. Why do I need a house full of stuff? My goal is to find value and appreciate every possession that my family owns. I wear the same outfits every week. Seriously, I wear my favorite things over and over again. There are just certain things that are comfortable to me. Clearly, those are the items that stay. But if you have not worn something in a very long time then why do you even have it? More importantly, when purchasing new items, do you really need it? If you already have something similar then why are you getting it? Less is more. Most people don’t truly care or notice. Candy is delicious. Chocolate, candy bars, Skittles, all of it is yummy. One bite and it brings a smile to your face. Two bites and it still makes you smile but not quite as wide. By the time you are done eating the bucket of candy you spent a night collecting the thought of something sweet makes you sick. Watching my young kids eat candy on Halloween is humorous. They know if they eat too much candy they get sick but none the less they end up eating so much they turn green. As kids get older some of them get wiser and spread the candy out and some kids still just scarf the candy until they get sick. Adults are no different. Some people are able to stop at one pair of leggings (I have no idea why I use leggings as my example…. wife) and some people can't help but buy a new pair of leggings every week. Buying too much of a good thing is no different than eating too much candy. It can make you sick. There are a few things you can do to avoid making yourself sick. Let’s get straight to the point, Halloween can get expensive. Between getting the kids costumes and candy for the neighbors things add up quickly. But like everything else, there are ways to plan ahead and celebrate the frugal way. What are your kids interest? This year my sister in law is dressing her daughter as her favorite book character, Fancy Nancy. She already has the clothes, now it’s just a matter of putting it all together. 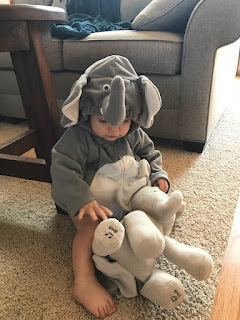 Homemade costumes are not only fun to wear, they are fun to put together. They will truly be a one of a kind! Get your child involved in the process too, have some fun. These are the things they will remember forever. Total cost- $0. It is import to be thankful for what you already have. People get caught up in wanting more and more. When starting to live a frugal life the first thing I had to do is be thankful for what I already had. I have a fantastic husband, healthy child and strong family support system. Those things cannot be bought with any amount of money. I have been on the road a lot recently for work. While away I once wrote this to remind my wife and I what we are aiming for. I dont know if we'll ever get there but it gives us a direction to aim. This particular story starts in the mountains. Not just any mountains but our mountains. The air of these mountains is clear and crisp. To look into the sky during the day is to see the most beautiful blue. To look into the sky during the night is to be lost in the infinity of the milky way. To stop and listen one would hear the gentle rustle of the wind brushing past the trees, the soft sound of water chattering, and the laughing frolicking sound of love. The love in this place is like a mist. It seems to hang thick on everything and yet it is as light as air. One cannot help but be enveloped by the love. Just to be in its presence is a salve for even the most weary heart.